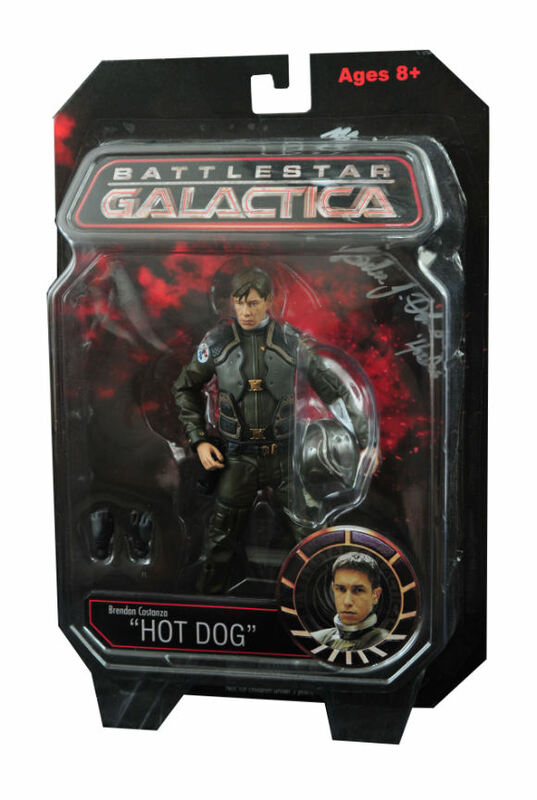 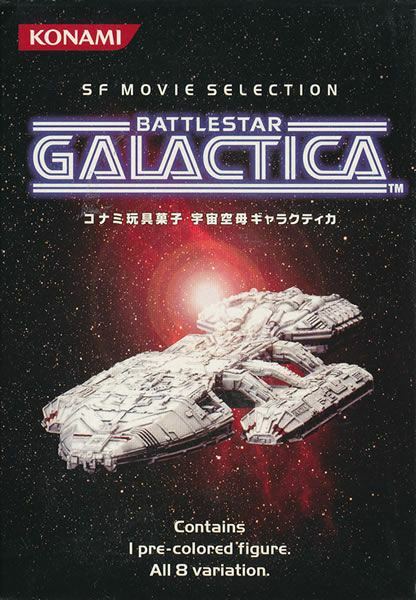 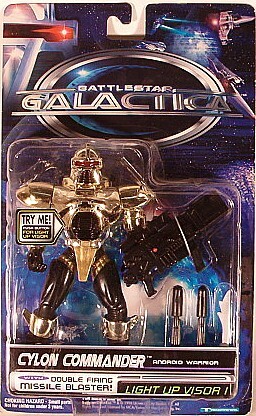 In 1996, almost 20 years after the Mattel Battlestar Galactica figures were released Trendmaster released a line of 6-inch Battlestar Galactica action figures. 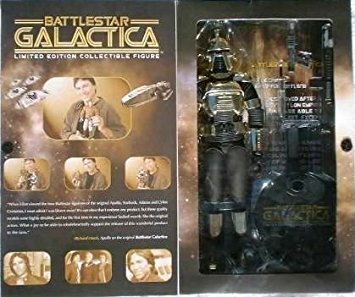 This line consisted of four basic figures: a Silver Cylon Centurion, a Gold Cylon Commander, Imperious Leader, Starbuck and later a limited edition of 5000 Stealth Cylon. 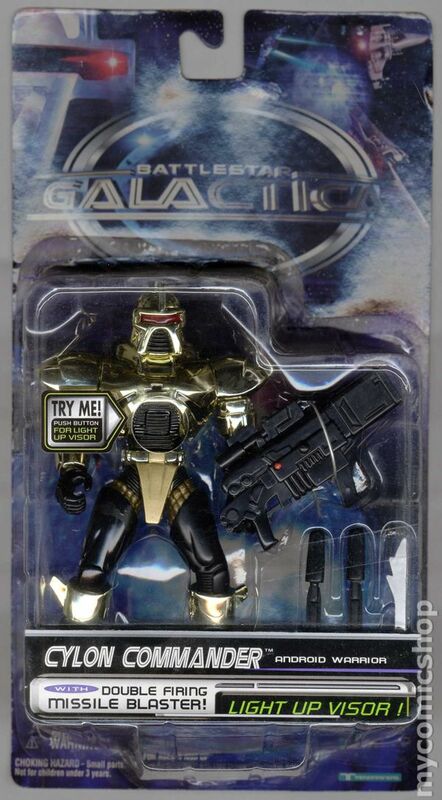 The Gold and Silver Centurion figures as well as the Limited Edition Stealth Centurion figures were all from the same mold but with a different finishing. 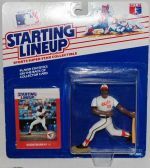 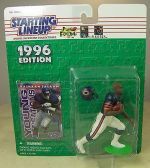 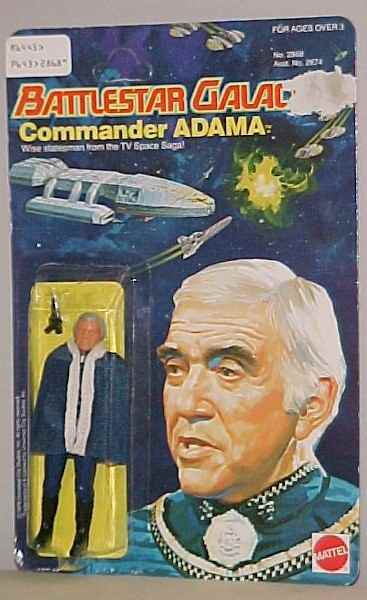 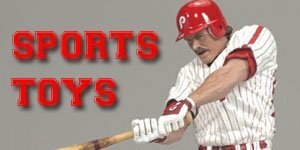 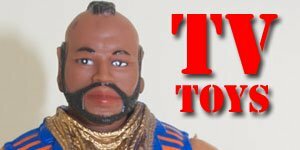 Each of these figures was also available as a talking version that came in boxed displays rather than the non-talking carded figures. 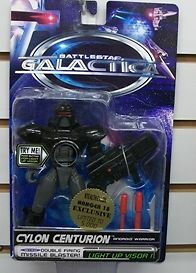 Apparently the reason why The Imperious Leader looked like a lizard on steroids from V was because it was based on the original concept of the Cylons being a lizard race that had become cybernetic warriors. 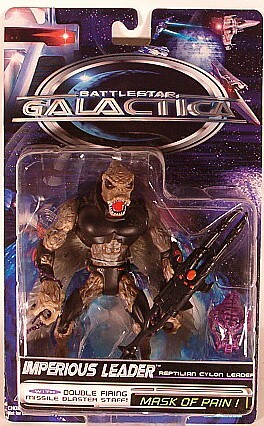 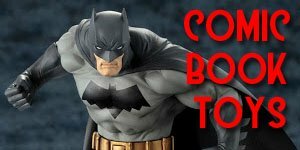 The figures were very heavily stylized with exaggerated muscles as they were based on the comic book that was produced by Richard Hatch in the late 90's rather than the original TV series. 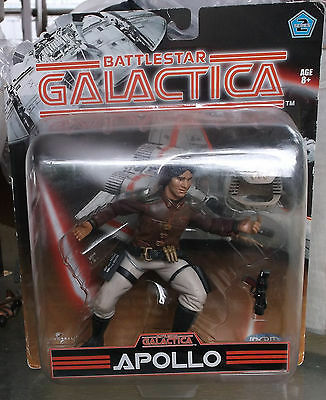 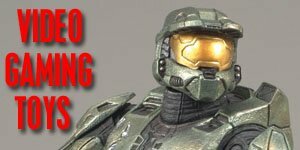 These remain reasonably collectable and easy to find, but they had some major flaws, for example Starbuck and Imperious Leader were unable to hold their weapons, and the Imperious Leader's mask kept falling off. 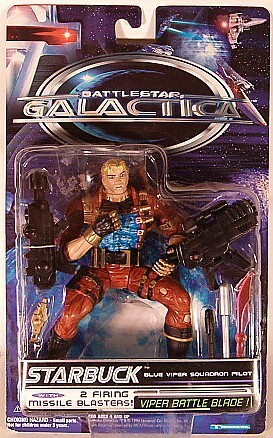 As well as the basic figures Trendmasters also produced two vehicles, a Cylon Raider and a Colonial Viper. 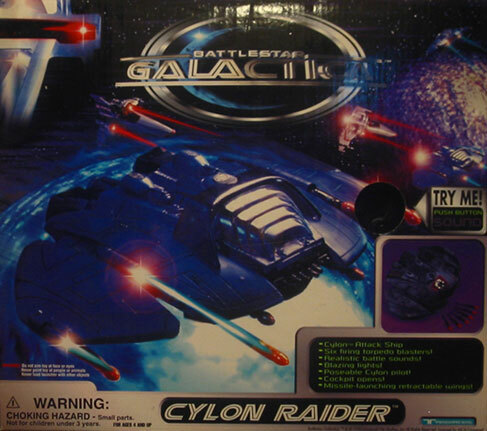 The Cylon Raider had a battle system sound unit, landing gear, soliumor engine lights, six firing laser torpedoes, cockpit light module, retractable wings, Wing-mounted turbo lasers and a removable Cylon pilot. 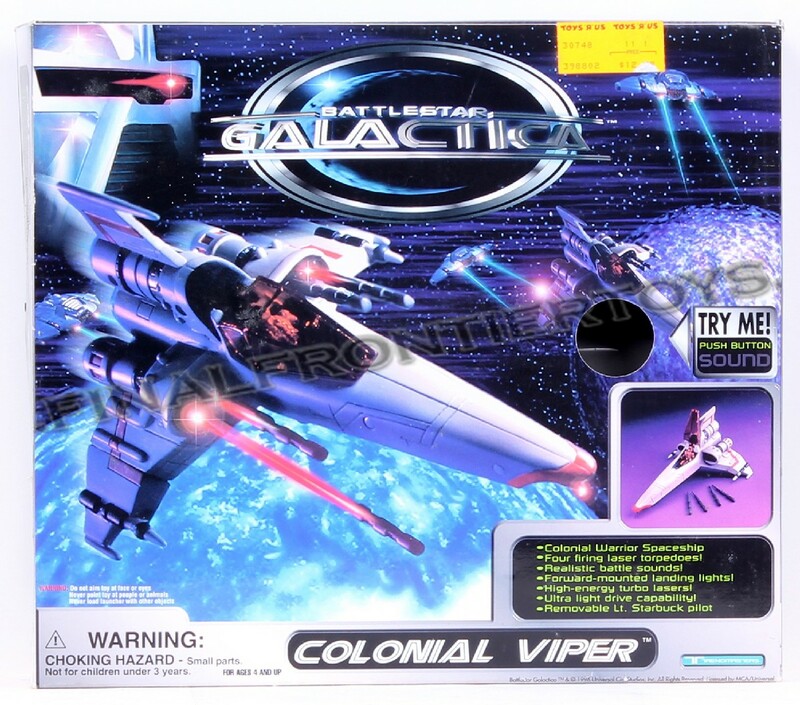 The Colonial Warrior Spaceship Space came with battle sound unit, forward-mounted landing lights, high-energy turbo lasers, ultra light drive capability, four firing laser torpedoes and a removable Starbuck pilot.